The Ban Hin Lee Bank Building at 43 Beach Street, used to house one of the few banks to be founded in Penang such as Southern Bank, the Ban Hin Lee Bank and used to have its corporate headquarters here. The Ban Hin Lee Bank Building was designed by Ung Ban Hoe, the first Chinese architect in Penang. It was completed in 1936 in the Art Deco style. The grand classical front and thick walls were to give the appearance of solidness. Bangunan Tuanku Syed Putra is a government office building along downing street. It is best known for housing the Penang General Post Office. Located on the site of a Japanese godown during the Japanese Occupation, the 10-storey building was completed in 1962, housing Federal and State departments. External viewing. 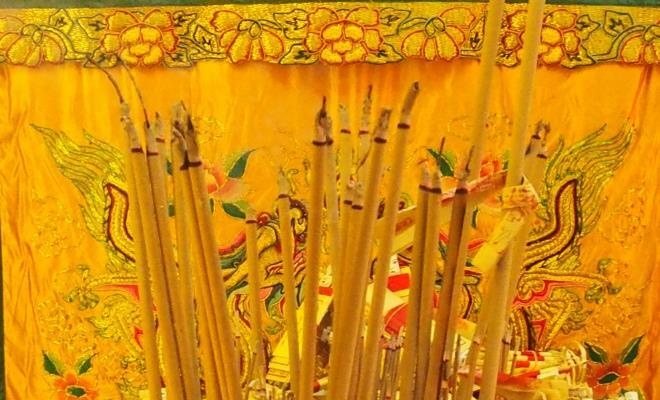 The Bat's Cave Temple was built in 1917 and the temple was dedicated to the worship of Tua Pek Kong, the local God of prosperity. 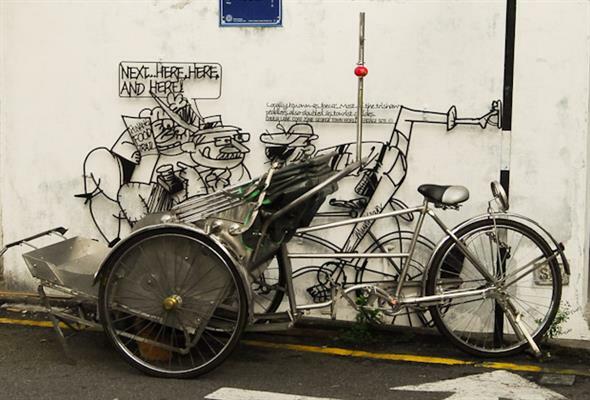 Next….here, here and here! Locally known as 'beca'. Most of the trishaw paddlers also doubled as tourists guides. 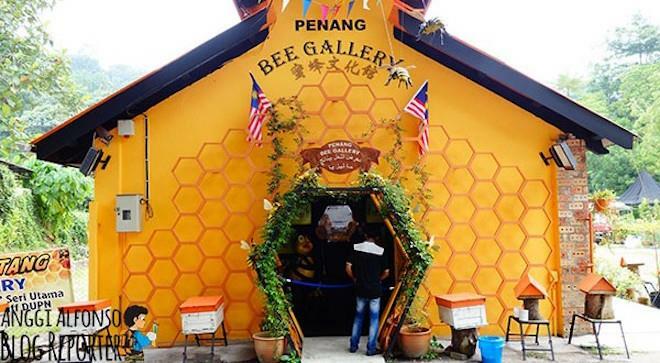 A propolis bee farm and gallery at Penang Botanic Garden. Delve into apiculture and learn about the Malaysian tiny stingless Trigona bees and others, various types of honey and propolis and take some home too. Bel Retiro is a government bungalow on Penang Hill. It was built in 1789 for the governor of Penang. It is the most prestigious property on Penang Hill, built in the 1800s as a resort for high govenment officials and visiting dignitaries. Bellevue Penang Hill Hotel is a 12 rooms colonial type of hotel with simple, nice, neat and clean set up. It has unique collections on rare species of Birds, Flora and Fauna at the Aviary Garden and a spectacular panoramic view from the restaurant. 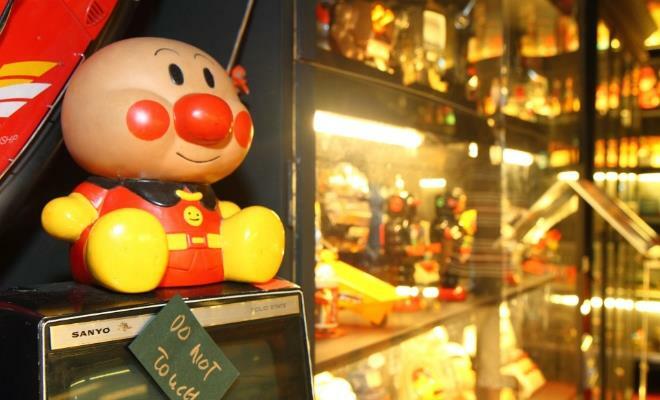 Owned by a vintage toy collector, Ben's Vintage Toy Museum features a rare and one-of-a-kind collection of vintage toys from the 1940s until 1970s. Some of the collection includes robots, dolls, trains, aircrafts, guns, space toys, paddle cars and more. Benggali Mosque is located at Leith Street, Penang. Taking just a few steps away from the main road of Penang Road and Chulia Street, you will find one small mosque with a green signboard named Qaryah Masjid Jamek Benggali set up at the front door. 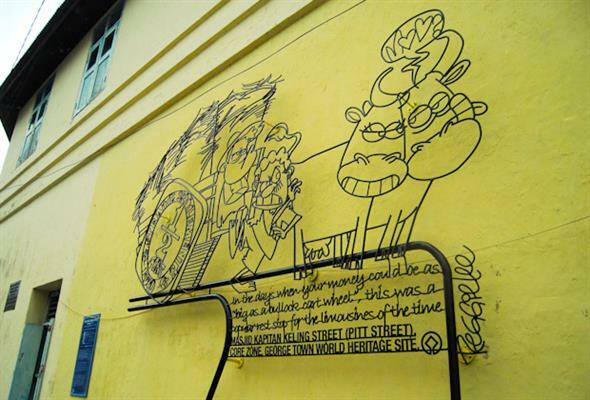 Birch House is a heritage building along Dato Kramat Road in George Town, Penang. It was built to serve as the office of the tin smelting plant of Escoy Smelting, known in the late 20th century as Eastern Smelting. The 5.3 hectare site of the tin smelting plant is now developed as Penang Times Square, and Birch House is being retained as McDonalds. 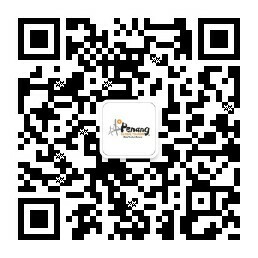 Boon Siew Villa is a mansion located at 36 Jalan Sultan Ahmad Shah (Northam Road). 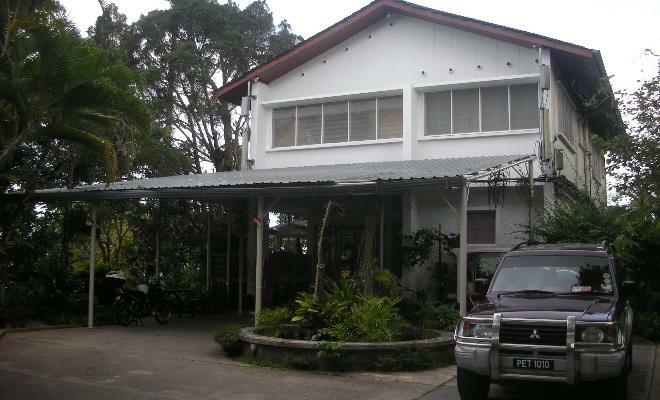 It was built in 1930 and was the home of the late Tan Sri Loh Boon Siew. The birth place of Ahmad Rashid Talu. The first to write an original Malay novel wih local setting and local characters. Menara Boustead is clad with a blue curtain wall. The anchor tenant on the ground floor is CIMB Private Banking. Apart from Boustead Heavy Industries and Boustead Penang Shipyard, other tenants here include the Texchem Group, Pembangunan Persekutuan Pulau Pinang and Fibrecomm Network. 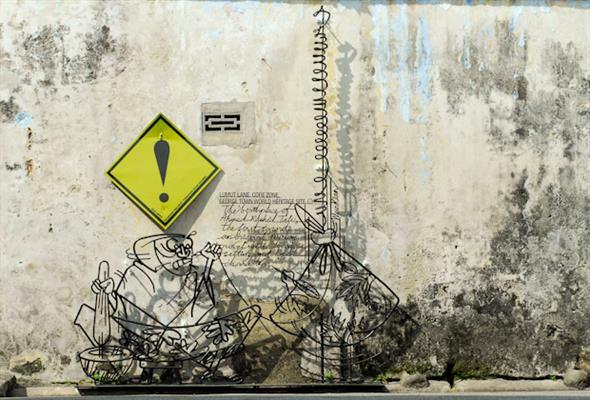 "Boy on Chair" is a mural located along Lebuh Cannon. 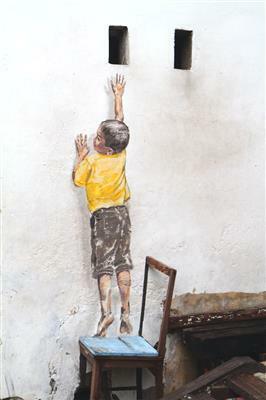 The boy standing on a chair and inching himself to reach as high as he can. 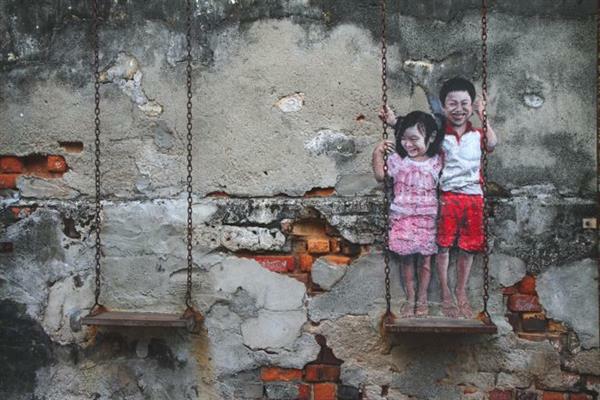 "Brother and Sister on a Swing" is a wall mural of two young children, a boy and a girl, standing on a swing. 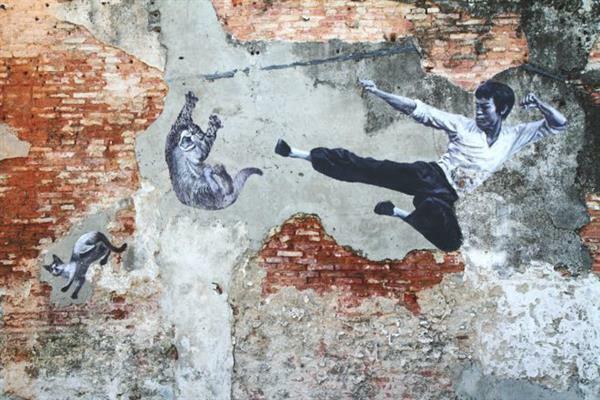 "Bruce Lee" is one of the murals painted by ASA, Artists for Stray Animals, in George Town, Penang for the 101 Lost Kittens project. 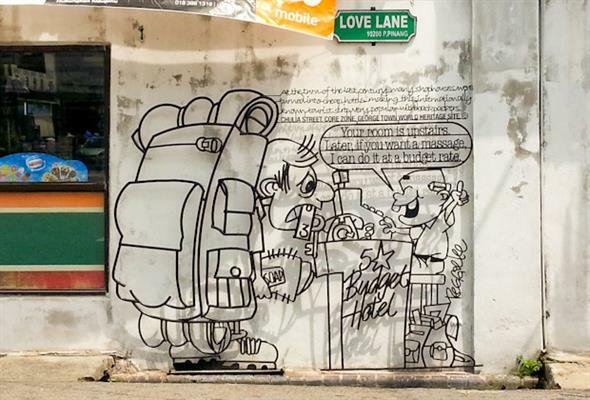 At the turn of the last century many shophouses were turned into cheap hotels and making this internationally known tourist strip very popular with backpackers. In the days when your money could be as 'Big as a Bullock Cart Wheel', this was a popular rest stop for limousines of the time.